Football fans were not the only ones being put through the emotional wringer during Super Bowl 2019. Besides being a celebration of the abilities of muscle-bound giants to run into each other at full speed, Super Bowl weekend is also a showcase for the biggest, flashiest and weirdest advertising the world’s biggest brands have to offer. And with marketers paying $5M for their seat at the Big Game and several studies suggesting that more than half of the people who tune in to the Super Bowl are only interested in the ads, the action was every bit as intense off the field as on it. 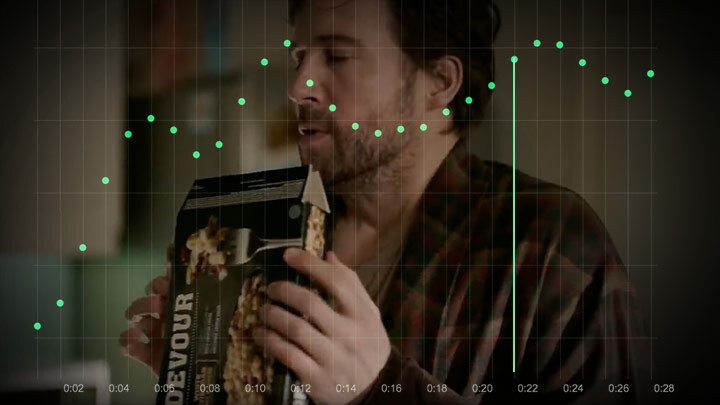 The day after the game finished, we ranked all of this year’s Super Bowl ads by how emotionally engaging they were. But now that the dust has finally settled, we thought it would be interesting to look at some of our data in more depth and pick out some of the interesting insights we found. This year’s crop of Super Bowl ads were certainly less serious and less political than previous years. 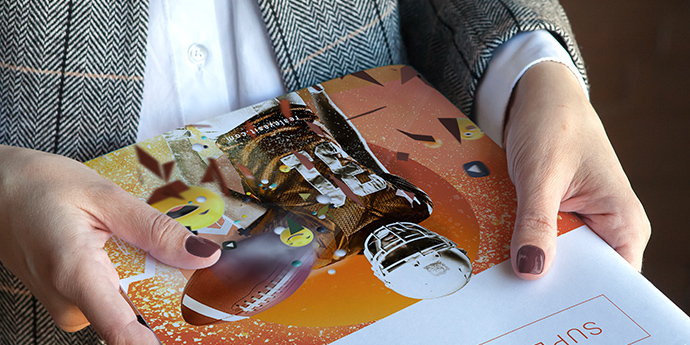 Rather than trying to make a point, brands were more focused on making viewers smile. But which ads made us smile the most? Well, looking at our data, collected by monitoring people’s emotions while watching each of the ads, we have come up with a top five. 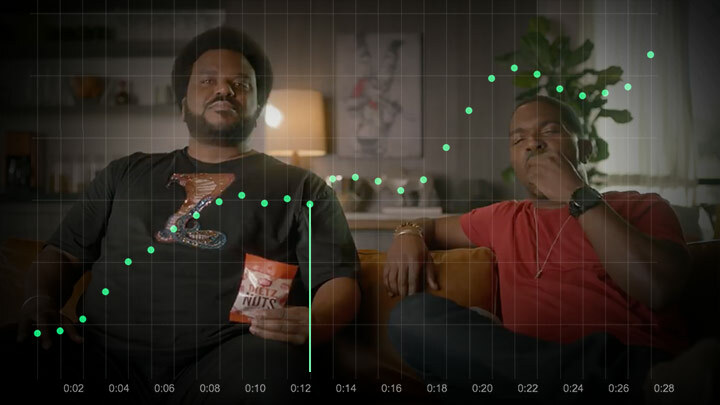 No surprises to see funny spots from Devour, Dietz & Watson and Bubly in there, but one surprise is possibly the ad that attracted the most smiles - Mint Mobile. 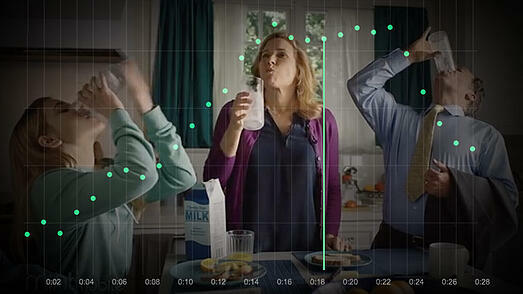 The Telco brand’s spot finished top of the chart after inspiring a quarter of its audience to smile throughout. Trying to stand out from the crowd, Olay tried something different for Super Bowl 2019. Rather than just go for cheap laughs, the skincare brand turned their spot, #KillerSkin, into a fright fest - replicating a scene that would not look out of place on any slasher movie. They even turned to horror icon and everyone’s favourite vampire killer, Sarah Michelle Gellar, to really ramp up the appeal to women. Only problem was women were just not that engaged with the content. The ad finished way down our list of the most effective ads of Super Bowl 2019, with women simply not scared by the content. 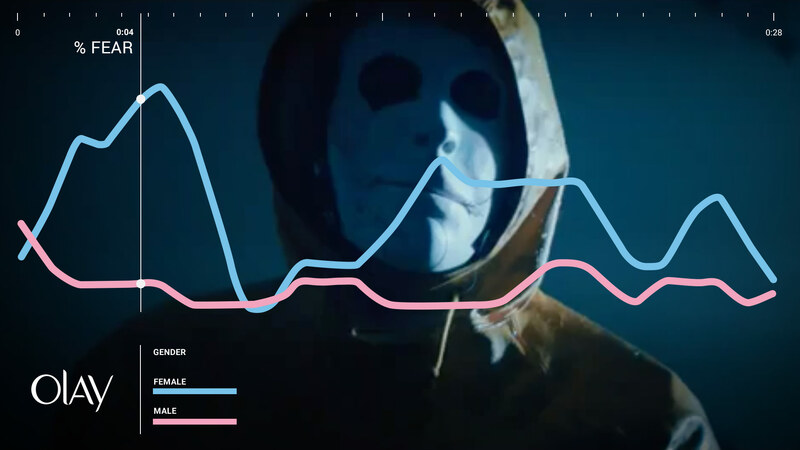 In fact, as you can see from the chart above, which shows how scared people were while watching you can that men (blue line) were actually almost twice as scared as women while watching. 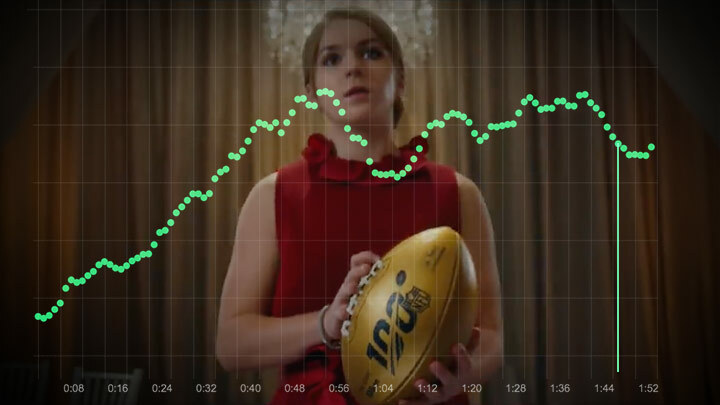 As we mentioned, Realeyes ranked all of the 2019 Super Bowl ads using our Emotion AI technology to see which were the most emotionally engaging. However, one thing that was interesting when looking through the top 10 list was just how dominant the Food and Beverages sector is, with brands from the category taking up 8 of the 10 spots. Here is a list of the ads which all made the top 10. Congratulations to all the brands involved. Sometimes the best thing about going to the cinema is seeing the movie and TV trailers (depends on the movie you are watching, of course). Sometimes you even feel like you have watched the entire movie as they try and drive up interest by cramming in as many good bits as possible. But that was not the case at the Super Bowl, with audiences far more engaged by ads for chocolate, insurance and nuts than movies about car chases and super heroes. Once again, looking down our list of the most emotionally engaging spots from Super Bowl LIII, what’s surprising is just how low down trailers for upcoming films and TV shows appear. The highest-placed trailer is a promo for the remake of the hit TV show ‘The Twilight Zone’, which is placed 28th. That’s followed by the action-packed trailer for the latest in the massively popular Fast & Furious franchise, which only manages #32. Here are all the trailers ranked. Toyota’s Big Game spot about Toni Harris, a 22-year-old set to become one of the first women in history to play college football, is definitely one of the standout campaigns of Super Bowl 2019. The story’s incredibly inspiring. Putting gender equality firmly in the spotlight, the ad shows how Toni defied all the critics and doubters to level the playing field and thrive in a man’s world. 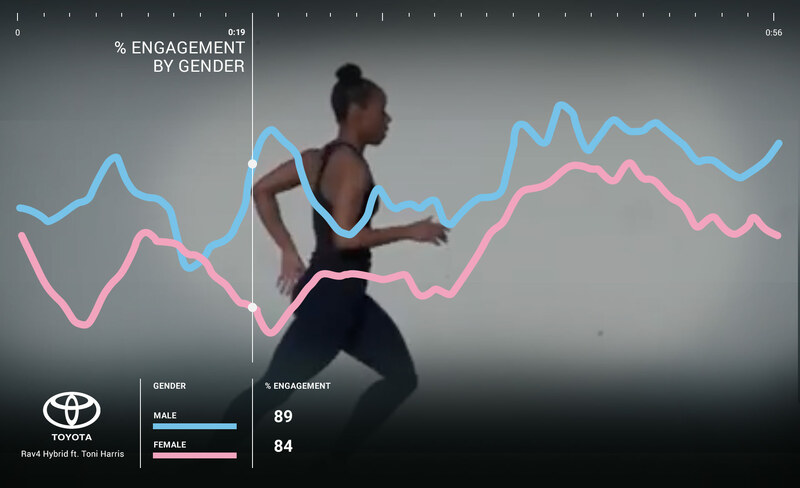 But, interestingly, when looking at the engagement levels between men and women while watching, it’s men that were more engaged in the story than women. 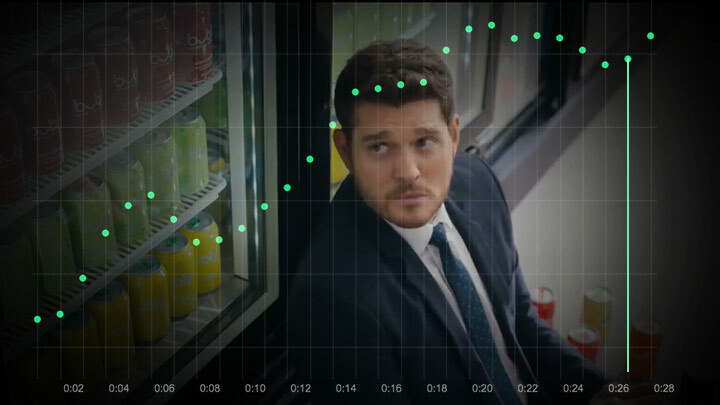 As you can see from the chart below, on average 31.1% of female viewers were positively engaged by the content, surprisingly slightly below the Super Bowl average of 31.9%. Meanwhile, men were a lot more emotionally engaged by the story, 14% higher than the Super Bowl norm.